Thank heavens for Coolinary! Had it not been for me browsing the Coolinary website for a new restaurant to try, I may not have ever come across Avo! No one that I know had ever mentioned it and its a bit off the beaten path that I normally travel or frequent. Nonetheless, I am grateful to have discovered it! 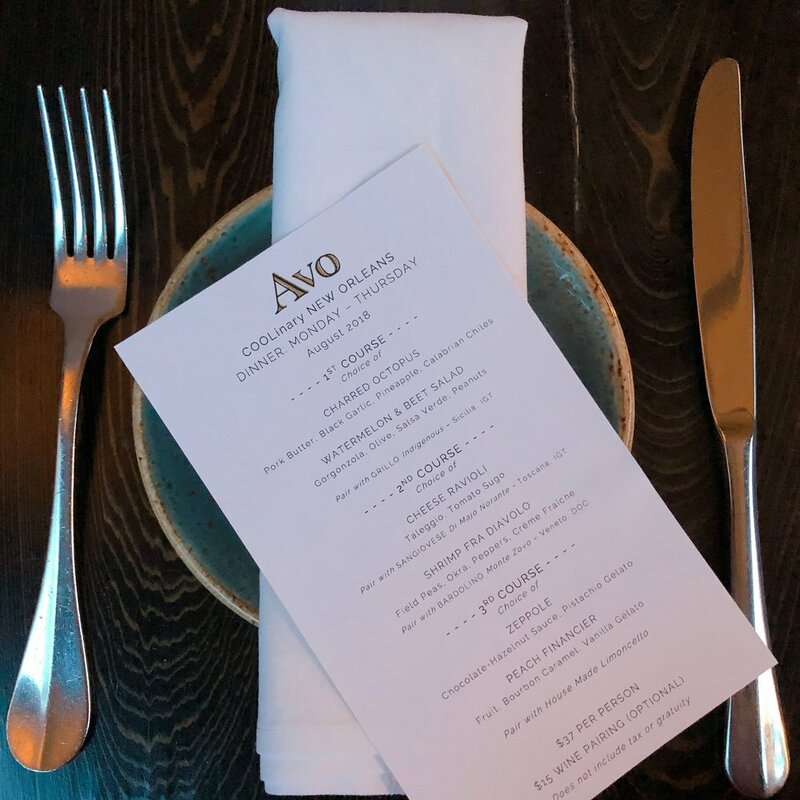 Per their website: Avo is a regional Italian restaurant from New Orleans-born chef, Nick Lama, a third-generation Sicilian. “Avo” is an Italian word that translates as “grandfather” or “ancestor“. The name is both deliberate and meaningful. Chef Nick grew up watching his mother and grandmother prepare recipes from the family’s home country. And as a child, he accompanied his father and grandfather to work at St. Roch Market, the historic seafood market his family owned and operated in the Ninth Ward. Both experiences inspired him to open Avo. The first thing that caught my eye was the menu, as a vegetarian, many times I’m limited in the selection - not at Avo! The second thing that caught my eye was the outdoor seating area! Ambiance is so important for the full dining experience and AVO nails it here. Absolutely gorgeous!